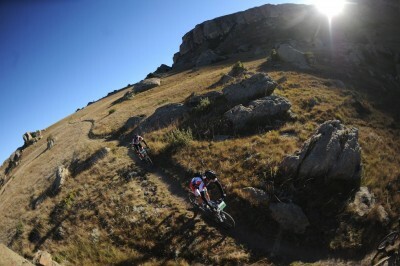 The Spur High School Mountain Bike League has shown exceptional growth over the past four years and judging by the number of entries in the early races of the 2013 series, the league is set for yet another record breaking season. The league was launched in 2009 as a joint initiative between the Spur Steak Ranches and league facilitator Amarider to create a national platform for school kids to have fun by participating in dedicated mountain biking events, while increasing the footprint of the sport in South Africa. According to Andrew Cronje of the Spur Steak Ranches, the company is proud to be a part of grassroots mountain biking development at school level. “We are delighted with the way the league has developed both in terms of numbers and transformation. 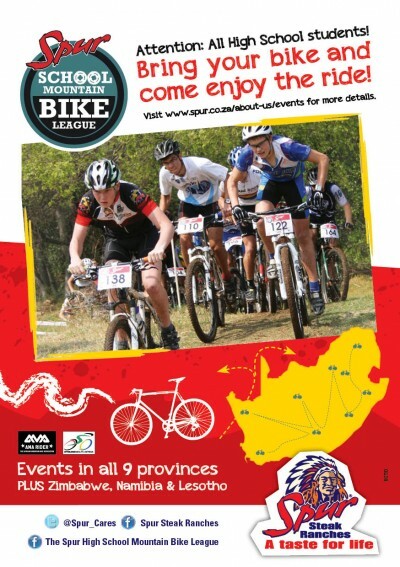 Since the inaugural season in 2009, which saw around 900 riders participating in 20 events in key centres around the country, the league has grown to attract over 5300 entries in 2012,” said Cronje. The Spur High School Mountain Bike League is expected to reach 6500 entries this year with 48 events to be hosted in nine provinces across the country as well as in Zimbabwe, Namibia and Lesotho. The league is run on the same lap-racing format as Olympic mountain bike competitions with a strong emphasis on making the races accessible to all in terms of route difficulty and race distance. League facilitator Meurant Botha of Amarider applauds the regional co-ordinators for growing their respective regions and driving a number of exciting local development initiatives, which according to him is paramount to the sustainability of the Spur High School Mountain Bike League. “By promoting existing events and facilitating new events in as many locations as possible, we are making participation easy and accessible. I believe however that the most progressive developments will be in smaller cities and am looking at the feasibility of a mobile event unit that takes racing to the kids - complete with bikes, helmets . 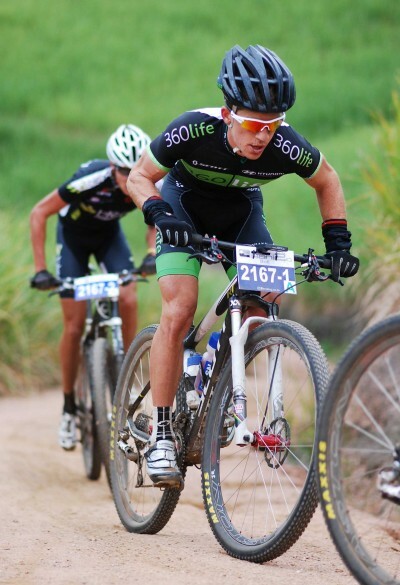 . .
Former winner and last year’s runner-up Neil MacDonald will once again have victory in his sights when he and FedGroup-Itec team-mate Brandon Stewart line up for the nine-day Old Mutual joBerg2c mountain bike race on Friday. The former roadie is currently in good stage-racing form, both on and off-road, following strong performances at the recent Mzansi Tour and Absa Cape Epic. MacDonald finished seventh overall in the five-day road tour and took third place with Stewart in the African jersey competition at the latter event. “As with all forms of stage racing, it’s about getting the miles into your legs and increasing your endurance,” he said. “You have to get your condition from racing rather than training. That’s where you can really push your body past the point you’re used to and it gives you the edge.” With just four days for recovery between the Mzansi Tour and the start of South Africa’s longest paired stage race, MacDonald said the road race had been excellent final preparation and that he was in good condition. “It’s not as taxing on your body when you’re riding on the road and there are sections where you do get to recover if you’re in the bunch. “When you’re spinning your legs like that you also get good speed in them, so I think the road and mountain bike stage races complement each other.” The 36-year-old said the 910km Old Mutual joBerg2c, which he won with Waylon Woolcock as Team RE-CM two years ago, occupied a special place on his personal racing calendar. “It was my first race with Waylon and we achieved some excellent results there.” The duo won six of the nine stages en route to overall victory and followed it up with two stage wins and second place last year. MacDonald said he and Stewart had ridden well together this year and that his new partner had made his intentions quite clear. “Our main goal is to win the overall as that’s where the glory lies. But it’s always good to win stages because it gets your . . .
Olympic rowing champion Matthew Brittain will have no shortage of new friends when he and his fellow mountain bikers take to the Vaal Dam for the dragon boat crossing on the opening stage of the Old Mutual joBerg2c on Friday. Brittain, who was a member of South Africa’s gold medal winning lightweight coxless fours in London last year, will team up with another former national rower, Rob Dormehl, for the nine-day stage race. 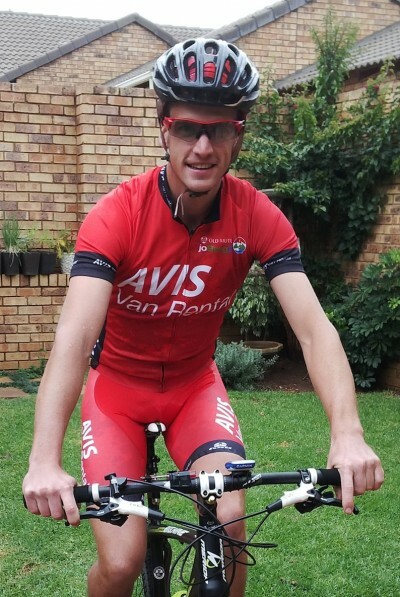 The 25-year-old Olympian, who is riding under the colours of Avis Van Rental, said he was raring to go following a successful racing debut at the recent Absa Cape Epic. He finished 27th overall in the general classification alongside another member of the “oarsome foursome” James Thompson. “We were trying to win so we didn’t do as well as we had hoped – those guys are fast,” said Brittain. “The Epic is a suffer fest and a slog. 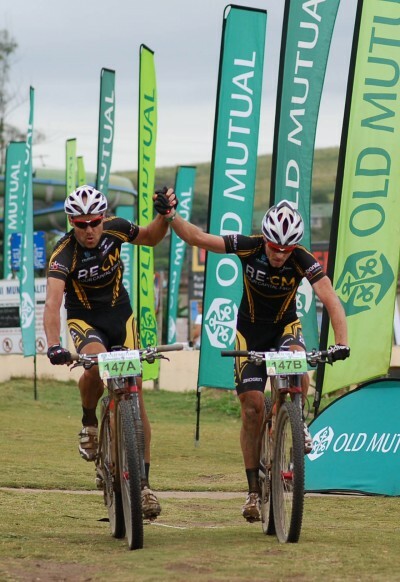 I said I would never do it again, but as the memory fades I want to do it again a bit more every day.” He therefore jumped at the opportunity to join Dormehl on the Old Mutual joBerg2c. Starting near Heidelberg in Gauteng and finishing at Scottburgh on the KwaZulu-Natal coast, it is the country’s longest fully serviced stage race. “I am quite excited to be riding with Rob but, to be honest, I’m more nervous than anything because he is a really fast rider and a tough and competitive athlete; I hope I don't slow him down too much.” Dormehl, who also represented South Africa in the lightweight fours a decade ago, is now an experienced mountain biker, trail builder and dairy farmer. “He spends a lot of time making cool trails on his farm just outside Sedgefield, and even more time riding them,” said Brittain. “He’s very knowledgeable and I’m lucky to have a partner with his skills.” Brittain, who lives in Centurion in Pretoria, said he would not be aiming for a particular result in the 910km race as it would make him too nervous. “I prefer to go as hard as I can and see where it gets me. The . . .
First Car Rental is proud to announce its support sponsorship of the 2013 South African Women’s Open. 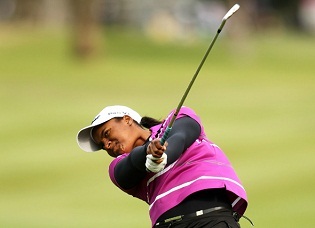 The 2013 South African Women's Open is being held at Southbroom Golf Club from 19-21 April with bigger prize money and a larger, stronger international field. This tournament is co-sanctioned by the Ladies European Tour (LET) and the Women's Professional Golf Association (WPGA). The tournament will be played over 54 holes of stroke play. The player with the lowest combined aggregate score will be declared the winner. The field will consist of 108 players, made up of 70 Ladies European Tour members, 23 WPGA members, 10 South African amateurs from the WGSA Order of Merit and 5 Promoter invitations. First Car Rental is sponsoring 5 mini-busses and vehicles over the 3 days that will be used to transport players and officials. 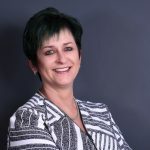 Says Melissa Storey, Executive Head: Strategy, Development & Marketing at First Car Rental, “This is tremendous opportunity not only for First Car Rental but also for KwaZulu-Natal Hibiscus Coast Municipality and South Africa as a whole. This is a high profile, well-attended event by the world’s top golfing professionals, and it is our privilege to sponsor and assist where we can. It is vital that our players, established and amateur, get to play against the best in the world in their own backyard.” Co-sanctioned by the Ladies European Tour (LET) and the Women's Professional Golf Association (WPGA), players from at least 20 countries will be represented, including defending champion Caroline Masson of Germany and a strong South African contingent of Lee-Anne Pace, Tandi Cunningham, Ashleigh Simon, Stacy Bregman and Nobuhle Dlamini. Says Lesley Copeman of promoters World Sports Promotions "We had such a good response to the 2012 tournament after its absence from the schedule for so many years, and we are delighted with the kind of growth we have been able to achieve and which will be showcased in this year’s event.” The 2013 . . .
With 112 international participants from 20 countries taking part in the Old Mutual joBerg2c in South Africa, the nine-day mountain bike race is fast achieving global status. The fourth edition, which starts in Johannesburg on April 26, will see well-known foreign riders compete with some of the country’s best, including former winner Neil MacDonald and new partner Brandon Stewart from Team Itec. The field includes top British marathon riders Tim Dunford and Ben Thomas as well as Italian Vanni Balboni (who won the gruelling Ironbike race in Italy) with his South African partner Oliver Munnik. Also in the 700-strong field is the formidable Swiss mixed pairing of Yves Corminboeuf and Jane Nüssli. They will come up against fellow countrywoman Ariane Kleinhans and her SA-born husband Erik, who are two-time Absa Cape Epic champions. “We welcome mountain bikers from all over,” said one of the organisers Craig Wapnick. “While we love a good race, most of our international entrants appear to be the type who love riding more than racing.” Wapnick said the event seemed to attract mountain biking purists who appreciated the 910km off-road journey from Heidelberg in Gauteng to Scottburgh on the KwaZulu-Natal coast. “You get to ride great routes, meet great people and race – if racing is your game.” He said the event was an ideal way to experience all aspects of the country, from inland regions to the Indian Ocean. “This year, we’ve had a surge in interest from riders in Belgium, the UK, Switzerland and Australia.” He attributed the increase to good publicity in overseas publications and word-of-mouth promotion from former participants. “Although we are flattered to have this overseas interest, we realise that 80 per cent of our riders are passionate South Africans who want to ride the beloved country.” Wapnick said participants also helped disadvantaged rural communities along the route by either riding for their own charitable causes or . . .
South African long-jump champion Zarck Visser, who successfully defended his title last weekend, will headline the second leg of the Varsity Athletics series in front of his home crowd at the University of Johannesburg on Monday night. Visser set a personal best of 8.29m, the second biggest leap by a South African, at the senior national champs in Stellenbosch and went on to take the opening event of the student competition at the same venue two days later. “The first Varsity Athletics meeting was amazing,” said Visser, who is currently ranked number one in the world. “I was a bit tired after nationals but still jumped okay, which I wouldn’t have been able to do a year ago.” The third-year transport management student had put in a workmanlike performance at the Coetenzburg stadium to leap 7.81m and take gold for UJ. Willem Coertzen of Pukke finished second with a distance of 7.51m and Francois Coetzee of Tuks jumped 7.49m to earn bronze. “I just had to do my job as a team member and get the points for the team,” said Visser. The long-jump specialist said the 100-minute live television format – in which eight of the top universities vie for the track and field laurels – had helped put athletics back in the spotlight again. “It’s like following a script – you have to start at a certain time and be done by a certain time. You have to give it your all in four jumps and do it quickly. “What I learned from the first event was that it’s a fast-paced competition and you have to be ready and focused – your mind has to be in the game.” The 23-year-old said there were a number of promising youngsters taking part and he expected the competition to be a lot tougher in the next round at UJ’s Auckland Park Kingsway Campus stadium. “But I know what the game is now, so I’ll be jumping better at the next one. Now I can hit it hard.” Visser said six months of intensive speed and strength training had paid off and that he and coach Emmarie Fouché . . .
Financial giant Nedbank has confirmed a three-year sponsorship deal with the world’s largest mountain bike stage race, the Nedbank sani2c, which rolls through southern KwaZulu-Natal from May 14. According to Nedbank Group sponsorship head Andy Scott, the three-day race, presented by Nedbank Private Wealth, was a natural fit for the bank and benefited communities all along its 251km route from Underberg to Scottburgh. “Like sani2c, Nedbank has a longstanding commitment to sport development and making a positive contribution to the communities in which it operates. “The event complements the bank’s current involvement in cycling and we are delighted to take the reins from BoE, who sponsored a superb event in 2012.” Scott said BoE Private Clients had been rebranded as Nedbank Private Wealth in October last year. “Our involvement this year reaffirms Nedbank’s reputation as South Africa’s green and caring bank. “The eco-friendly nature of the race, supported by the tree-planting programme, lends itself to the protection and preservation of the fauna and flora along the route. In addition, he said the financial backing made available to schools and local community organisations that work on the event are further touchpoints for the title sponsor. For the 4 500 riders participating in the Trail, Race and Adventure components, the sponsorship makes world-first initiatives like the new 360Life bridge possible. The floating bridge, one of several innovative water crossings on the route, sees participants riding their bicycles over the Scottburgh lagoon and a few hundred metres into the Indian Ocean before hitting the finish line on the main beach. The bank has also made free life and disability cover available to all participants for the duration of the event. Organiser Glen Haw said the race was honoured to be associated with the financial group. “Officially, this is Nedbank’s first year as title sponsor but, in reality, the organisation . 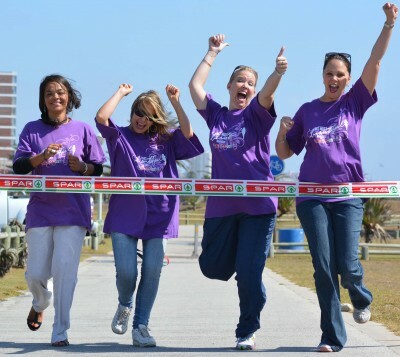 . .
Schools, businesses and individuals who inspire friends and colleagues to take part in this year’s SPAR Women’s Challenge will stand to win great prizes in the 20th edition of the race in Port Elizabeth on May 4. According to SPAR Eastern Cape marketing manager Abri Swart the aim of the “introduce a friend” competition is to reward loyal supporters and encourage new participants to discover the fun and community spirit of the road race which annually draws around 12 000 runners. “If a lady who took part last year introduces a friend who did not, they fill in an additional form that goes into a separate lucky draw. If their names are drawn, each of them will win R1 200.” Swart said participants may introduce as many new ladies as they wish but may only nominate each one once. “We’re once again also offering incentives in the hotly contested schools and corporates category.” He said the primary school and company with the most entries would each win R2 500, while the most-represented high school earned a laptop computer. “In addition, the teacher who assembles the largest number of learners will receive R1 200 for his or her efforts.” Last year Lorraine Primary went to the head of the class, while long-time supporter Lawson Brown High narrowly beat off challenges from Arcadia and Westville Senior Secondary Schools. 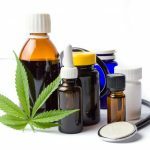 Aspen Pharmacare took advantage of the team-building opportunity to scoop the profits in the corporate category. “To make things easier on everyone, we have instituted a special bulk entry procedure for schools and companies,” said Swart. “But each runner can still choose whether to do the 5km or 10km event, as both count towards the total.” He said participants in the newly introduced Little Ladies’ Race for girls under the age of nine, which takes place during registration at Pollok Beach on May 1, would not qualify for the primary schools category. Swart said organising club Walmer Athletics had already dropped off or . . . 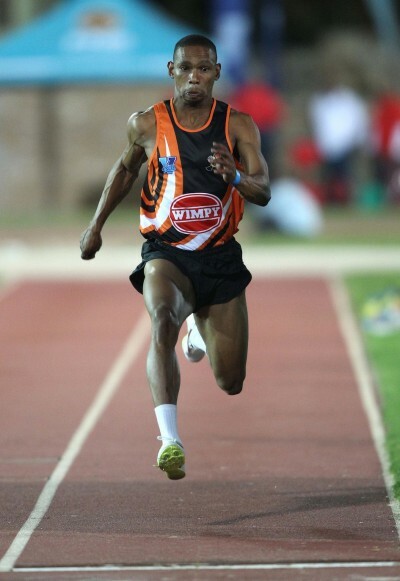 The University of Johannesburg is gearing up to host the second leg of the explosive new Varsity Athletics series, which takes place at the UJ Stadium on the Auckland Park Kingsway Campus in Westdene on April 22. Hot on the heels of the successful Varsity Sevens and Varsity Beach Volleyball tournaments, this made-for-television format will see 208 athletes from the eight top athletic universities compete for glory during the 100-minute broadcast. According to local organising committee chairman Francois Fouché, the televised nature of the three-leg series – which was inspired by the Varsity Cup rugby concept – makes for action-packed, adrenalin-pumping viewing. “This will be one of the few times in the past 20 years that South African audiences will be able to enjoy athletics live on TV.” Fouché said spectators were starved for great track and field meetings featuring top quality talent. 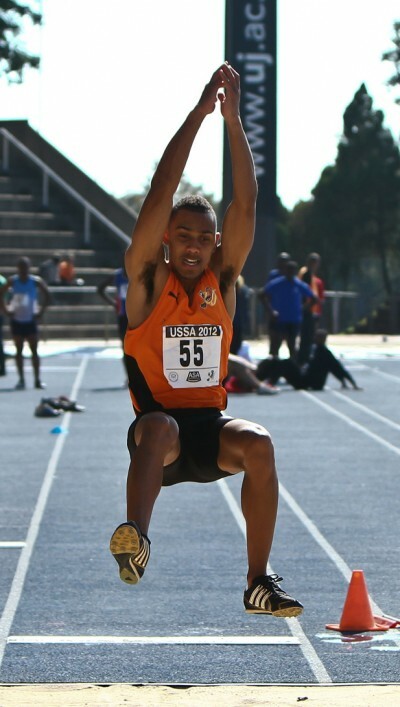 “The UJ event promises a great atmosphere and solid performances on one of the best blue tartan tracks in the country.” He said the athlete to watch would be the university’s own long-jump sensation Zarck Visser, who currently occupies the top spot on the world rankings with a distance of 8.19m. He also finished second at last year’s African championships. Based on their performances, Fouché said the competition would provide an opportunity for students to qualify for places in national teams. “The most notable change from a regular meet is that field athletes will only have four attempts instead of six to fit all the events into the allotted time frame.” He said each team comprised 13 male and 13 female athletes, who would compete in a total of 18 events. “Points are awarded for each event and the team with the most points collectively will be named the winner on the night.” The institutions would then be awarded points based on their overall standings, which would be carried over to the next meeting, said Fouché. “The university with the most . 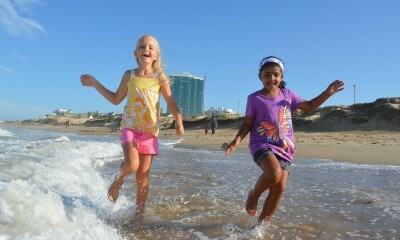 . .
Future participants in the SPAR Women’s Challenge can start their training early following the introduction of the SPAR Little Ladies’ Race in Port Elizabeth on May 1. The 2km fun run, which takes place from Pollok Beach in the Summerstrand area, will be open to all girls aged eight years and younger. Participants may be accompanied by an adult woman but no boys or men will be allowed. “This road running festival is strictly for ladies of all shapes and sizes,” said SPAR Eastern Cape marketing manager Abri Swart. “It’s a fun and healthy way to say thank you to our loyal shoppers and give back to our community.” According to Swart, the SPAR Little Ladies’ Race was the ideal way to broaden the participation base of the event and introduce future customers to the family oriented retail brand. “It’s a very special addition to the Women’s Challenge, which celebrates its 20th anniversary this year.” He said the fun run would take place on the first day of late registration for the 5km and 10km senior events. “This means that moms, aunts and grans can register, collect their t-shirts and support their little ladies all on the same day. “The girls may run unaccompanied as there will be female marshals along the course to ensure everyone’s safety.” The Little Ladies’ Race follows a circular route from the registration tent on the grassed area, past the old Something Good roadhouse and along the seaside pedestrian walkway before returning along the landside footpath. Swart said all participants, but not their adult companions, would receive special finishers’ medals and be in line for lucky draw prizes. He said organisers anticipated between 500 and 1 000 participants in the inaugural race. Entrants may register at the following sports shops: Brian Bands, The Footballer, Sportsman’s Warehouse and Action Sports. They can also register from 8.30am on the morning of the race. According to Athletics South Africa rules, only girls nine years . . .